Laptop Compartment: 10.6W X 18H X 1D in. (27W X 46H X 3D cm). Fits most laptops up to 17 inches. 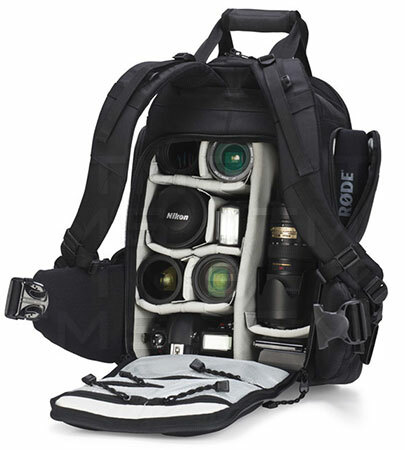 The Roadie Video Backpack was designed from the ground up with video gear in mind. It will fit the latest DSLR systems from Canon (5D Mark III, EOS-1D X) and Nikon (D4, D800), and larger video cameras from RED (Epic, Scarlet), Canon (C300) and Sony, along with a full assortment of accessories. 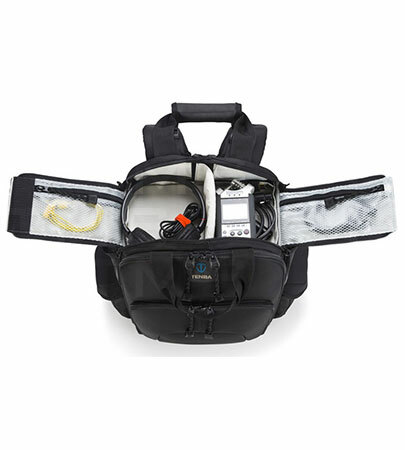 Video-specific features are found throughout, such as side monopod/shotgun mic pockets, a top audio compartment and versatile dividers than can adjust to fit everything from DSLRs to full-size video cameras. 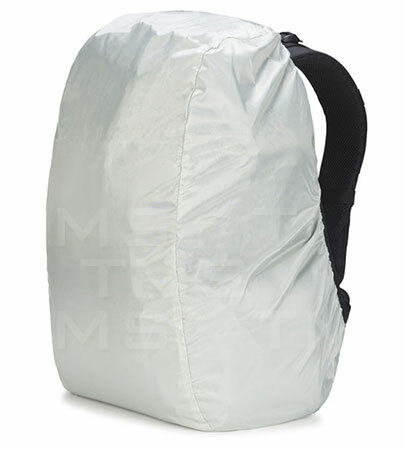 Every detail of the bag was developed in cooperation with working videographers and filmmakers across a broad range of styles and pursuits to ensure that this bag could adapt to meet a wide variety of needs. As with the rest of the bags in the Roadie II collection, the backpack is made with the finest materials available, and is built to withstand the rigors of heavy travel and continuous use, while protecting expensive camera gear in every conceivable kind of location. 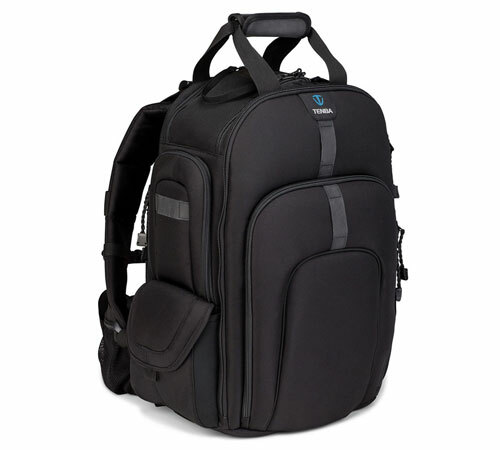 The Roadie Video Backpack provides highly-refined professional performance concealed beneath a subtle and distinctive exterior, and it is built to impress without drawing unwanted attention when traveling.